FELIXprinters has exceptional R&D expertise, and we are able to work with our customers to develop tailor-made advanced 3D printing solutions bespoke to specific applications. The company encourages the formation of strategic partnerships with clients and other technology suppliers to further advance innovations in 3D printing. While many of the tailor-made solutions we have developed are for confidential customer projects, we are able to give some details of two projects that we are currently involved with in the area of food printing and bio printing. Customers are invited to discuss any tailor-made solutions that they feel would benefit their projects with our team of expert 3D printing innovators. In the field of 3D bio printers, FELIXprinters is participating in an EU subsidized project called “training4crm”. The goal of this project is to create an array of stemcells that can be manipulated to any cell. The initial goal is to find a cure for Parkinsons disease by replacing braincells, but ultimately the same technology can be used to cure or replace any cell type. The consortium consists of 10 individual parties, 7 of which are universities and 3 commercial companies of which FELIXprinters is one. Our objective is to supply 3D printing technology to create these cell arrays, create an extruder which is able to print biofluid, and create a hybrid printer that can print two materials at once. The project is fully funded by the EU. The open design of the FELIX 3 and FELIX Tec series gives great freedom when it comes to experimenting with the printing of food. 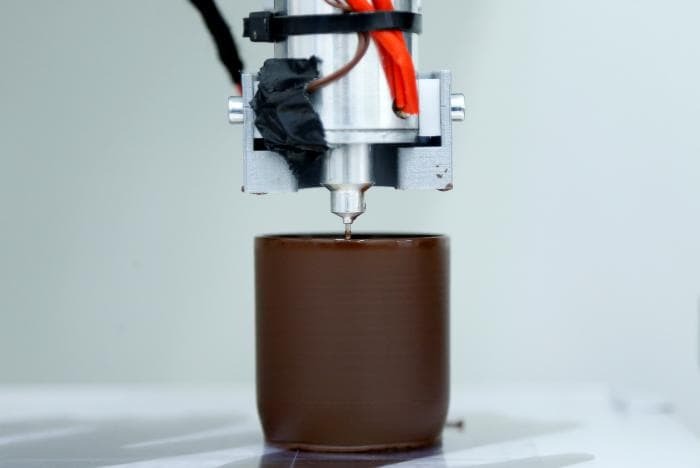 The use of a 3D printer in such applications leads to the production of novel shapes which can not be carried out by conventional food processing technologies. It is also used for the production of small batches, and customised products. FELIXprinters is involved in a number of R&D projects in the area of food printing, and most intertestingly of all is currently working with a food company in order to create a highly innovative but confidential printing application, and it is hoped we can divulge information at some point at the beginning of 2019. In addition, for another customer we are currently working on an extruder which will be able to print any kind of food in paste form. Regarding food applications. We would be delighted to discuss specific applications in this area with any prospective customer that can take advantage of our huge experience and technological savvy.